Taurine capsules each contain 500 mg of pure crystalline taurine. Taurine capsules, provided by Douglas Laboratories®, each contain 500 mg of pure crystalline taurine. Taurine is one of the most abundant free amino acids in the body. It is not incorporated into proteins, yet taurine is very important in metabolism and is present in particularly high levels in the brain, skeletal muscle, heart, and retina of the eye. 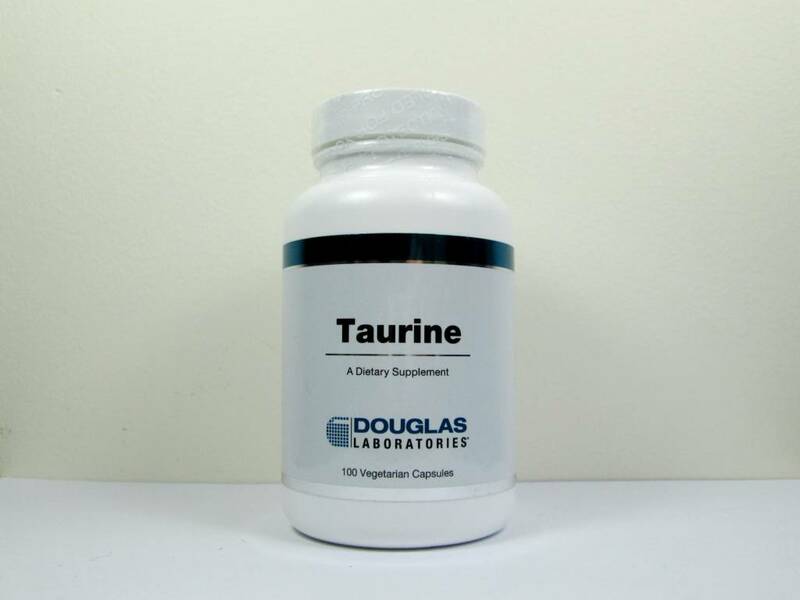 Taurine is regarded as a conditionally-essential amino acid, because it can be synthesized by the body from the other sulfur-containing amino acids cysteine and methionine. Taurine synthesis is vitamin B6 dependent. Taurine is essential for infants where it plays important roles in the development of the nervous system, retina, and muscle tissue. Taurine is well known for its role in bile salt synthesis and has crucial functions in the liver’s detoxification pathways. 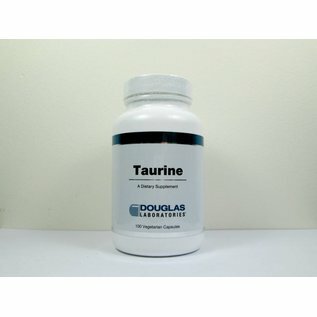 Taurine also appears to have a stabilizing effect on cell membranes and is important in maintaining normal extra- and intracellular distribution of calcium. This in turn has implications on neuronal excitability and the regulation of osmotic pressure. In the retina, taurine helps maintain the structure and function of the visual cells. In the diet, taurine is found in meat and fish, but not in plant foods. Strict vegetarians, especially those with low cysteine, may need to supplement. Taurine capsules may be a useful dietary supplement for individuals who wish to enhance the body’s taurine levels. The suggested use is one to three capsules daily or as directed by a physician.